The wording in the finance section, and changed to ensure safeguards in place for electronic banking, signatures on cheques and approvals over paying out larger amounts. Subject to the changes the constitution was unanimously accepted. Club membership has grown substantially. First month – 45 members, end of year - 94 members, end of March - 121 members, 86 renewals. Now membership of 125. The average member’s age is 45y 9m, lives in SK6, 57% male, 6% second claim. The club has been involved in road running, fell running and cross-country league. Club championships have been introduced. Thanks to Mark Day for co-ordinating and compiling the club championship and results. Training nights continue twice a week on Mondays and Wednesdays. Thanks given to Clare Smith for organisation of training nights, routes and tail runners. Kit – best around! Lots of compliments from other teams – very distinctive – thanks given to Maria and Simon Rushton. Team Captains – thanks for all their encouragement - given to Darren Peatfield and Karen Andrew. Membership – thanks given to John Bailey for a great job currently and also to Catherine Tombs for all her work in the early days when the club first started, and while we were still trying to understand the complexity of the EA portal!!! Coaching, Pub2Parkrun – went really well, great feedback. Leader in Running Fitness (LIRF) Qualification was completed by Sarah Smith and Maria Rushton. Carole Culley and Clare Smith also coached. 5 went onto full club membership. There is more interest, need to restrict numbers on the course, need to look at new dates. Query involve more leaders. Thanks to Maria, Sarah, Clare and Carole. LIRF – interest to do the course from Anna Ashton. Jeremy Woodham also has LIRF. IT Support – Thanks to James Kemp for his help and support especially initially with the IT infra-structure, the first website, e-mail addresses etc. Communications – website, Twitter, Facebook, email – Communication has been good, new website – which has great features; like being able to link the calendar to your mobile phone. Thanks to Toby and Sarah Smith. Marathon Place – we got one place for 2017 – place went in the draw to Sarah Stutchfield who did the club proud. Social secretary – great events organised at the Railway, Curry Night and Christmas Do – thanks to Alison Deykin. Tail Running Group – huge thanks for your support it is greatly appreciated. Marple Carnival 10K – went really well, fantastic support from the volunteers. 33 club runners, 168 finishers (same as Offerton 10K race), fabulous feedback. Lots of background hardwork, risk assessments. EA referee attended. Feedback being sought from medics and volunteers. Huge thanks to Gordon Rogan and Andy Lord for all their hard work. Need a subcommittee to organise next years event. We need to continue to build on our success and move forward. Alison was unable to attend – Accounts presented by Andrew Lord. Alison Duckworth has been treasurer for the last 18 months but would like to resign as she currently does not have the time to commit. Andy thanked her for all her hard work. As a token of our thanks Andy Lord proposes we make her an honorary member (second claim) for one year. This was seconded by Simon Rushton and unanimously accepted. Verbal report of account status given and full accounts will be published shortly. Marple Carnival 10K accounts not yet complete. Plan to give £100 donation to the Marple Carnival proposed by Andy Lord, seconded by Darren Peatfield, unanimously accepted. Vacant position now for Treasurer – one nomination Diane Peatfield – (associate) – proposed by Andy Lord, seconded by Tony Rogers, unanimously accepted. 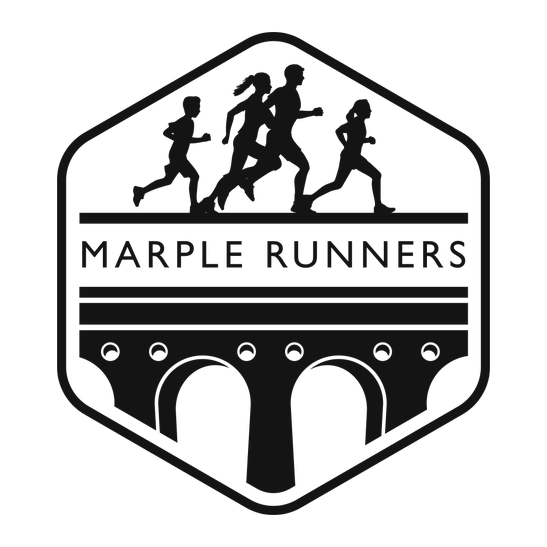 Other races – Marple Runners teams at Thunder Run and Equinox. XC Co-ordinator for next season – possibly Jeremy Woodham or Mat Stephenson to organise. Junior Rules – a discussion over the safeguarding issues with under 18-year-olds running in groups. They need to run under the supervision of their own parents. We need to ensure both the child and adults are protected from child protection issues. A sub group will draw up a policy for Safeguarding for Under 18s involvement, and which will be circulated. Sunday runs – to be kept as informal runs so we do not need to ensure that tail runners, publishing of routes etc are required as this will put additional pressure on existing coaching staff. Notification for AGM – include e-mail to members next year as ell as put on calendar. Committee dates for rest of year to be set.